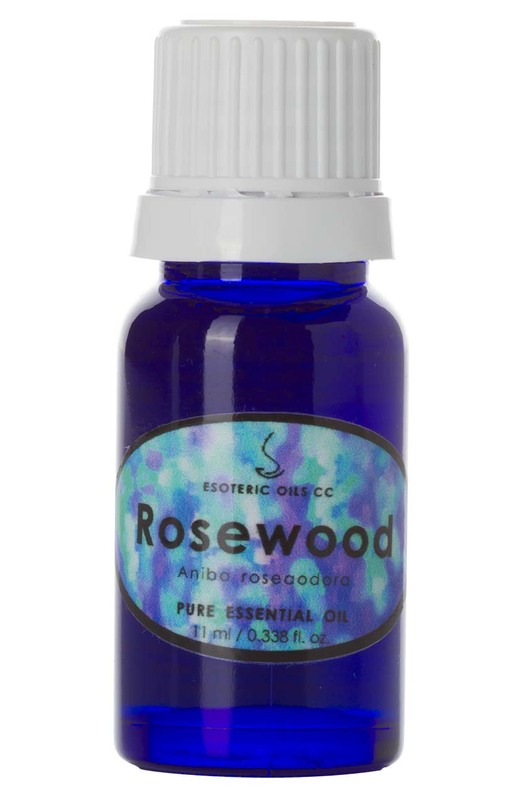 Rosewood oil is extracted from Aniba rosaeodora (also known as Aniba rosaeodora var. amazonica) from the Lauraceae family and also known as bios de rose and Brazilian rosewood. Although not possessing a wide range of therapeutic qualities, this essential oil is useful for lifting depression, fighting frigidity and impotence and for skin rejuvenation. It has excellent cell stimulant and tissue regeneration properties, making it a valuable ingredient in mature skin care. The oil has a slightly spicy, floral and sweet smell. This Brazilian evergreen tree can grow up to 40 meters (125 feet) high and has a reddish bark and yellow flowers and is extensively felled in the South American rainforest, but now legislation requires distilleries to plant a new tree for each tree cut down. The wood is used for building, French cabinet making, carving, for the production of chopsticks in Japan and of course, essential oil. It is extracted from the wood chippings by steam distillation. The therapeutic properties of rosewood oil are anti-depressant, mildly analgesic, antiseptic, aphrodisiac, bactericidal, cephalic, deodorant, insecticide and stimulant. When feeling overburdened by the world, this oil will lift your spirits and have a balancing action effect on the mind and body. It is used with good results in reducing headaches, colds, coughs, fever and infections and is a boost for the immune system. Although rosewood oil does not have wide therapeutic properties, it has a place in aromatherapy and could help with the respiratory system, with sexual problems, with stress-related conditions and with great success for skin care. In vapor therapy rosewood oil can help with colds, coughs, infections, headaches, nausea and stress-related problems, while lifting depression and helping to counter any sexual problems. As part of a lotion or cream rosewood oil is most effective to stimulate the cells and regenerate tissue, therefore aiding rejuvenation of the skin and making it particularly attractive for use with more mature and wrinkled skin. Although essential oils normally blend well with one another, Rosewood oil blends especially well with all citrus and floral oils.